Your dog's overall health and wellness depends 100% on you. Our dog health articles are filled with insanely helpful tips and unique ways to keep your dog safe, healthy, and happy on a daily basis -- especially during chaotic times, like holidays. Heed these important warnings and avoid these pet predicaments. Not sure where to begin? Start here --> Dog Health & Safety 101. Have you ever wondered if your dog is actually watching TV with you? 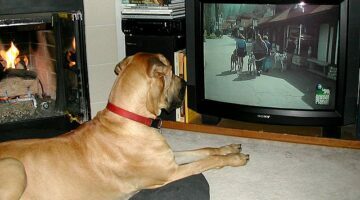 The fact is dog eyesight is different from human eyesight, so dogs see images on television differently than we do. When around a loud noise that is bother some to you keep in mind of your dogs hearing. Dogs hearing can also be seriously affected by repetitive loud noises. Here’s what you need to know to protect your dog’s ears. If your dog is about to give birth, here are the items you need to have ready before she goes into labor. Plus, an idea of what to expect at each of the 3 stages of your dog giving birth. The flea and tick control products you get from your vet are the most effective and safest ones for your dog. They all control fleas, but a few of them control other pests as well. 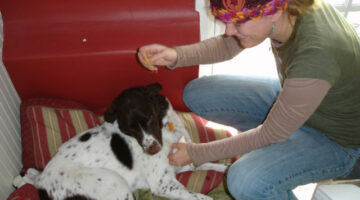 Five flea and tick control products are reviewed here. You need to know that a retractable dog leash was simply not designed to work properly 100% of the time when you need it to. So, if you do use a retractable leash, then you need to know how to use it safely — and correctly. Here are some retractable dog leash safety tips. Did You Know You Can Get Lyme Disease From Your Dog? Finding a tick on your dog can be cause for concern. 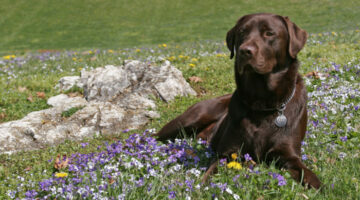 If your dog contracted Lyme Disease from a tick there may be a chance you have it also. Have your dog tested during his annual check up with a blood test that also detects Lyme Disease. Should You Vaccinate Your Dog Against The Dog Flu? Here’s what you should know about dog flu — also known as the H3N8 flu virus in dogs.